Overview of Byzantine monasticism, and summary of the sites associated with the Byzantine Monks in the Judean desert. 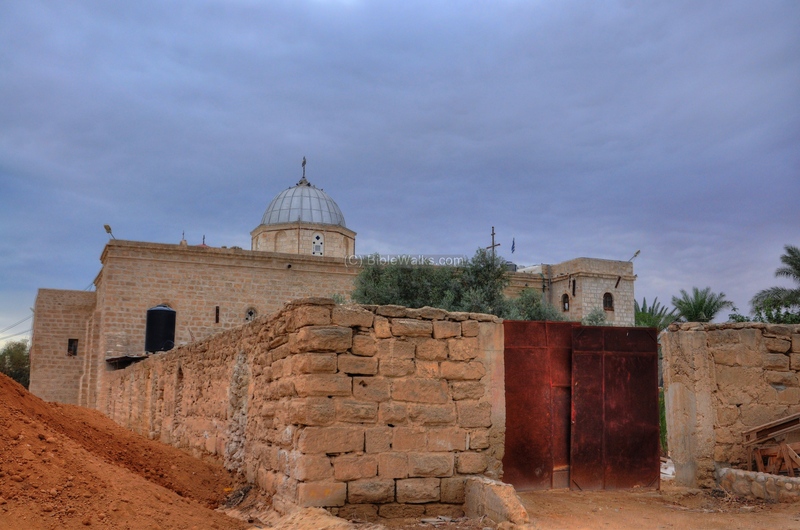 This page provides an overview of Byzantine monasticism and summarizes their way of life, the prominent leaders, and the sites associated with the Byzantine Monks in the Judean desert. 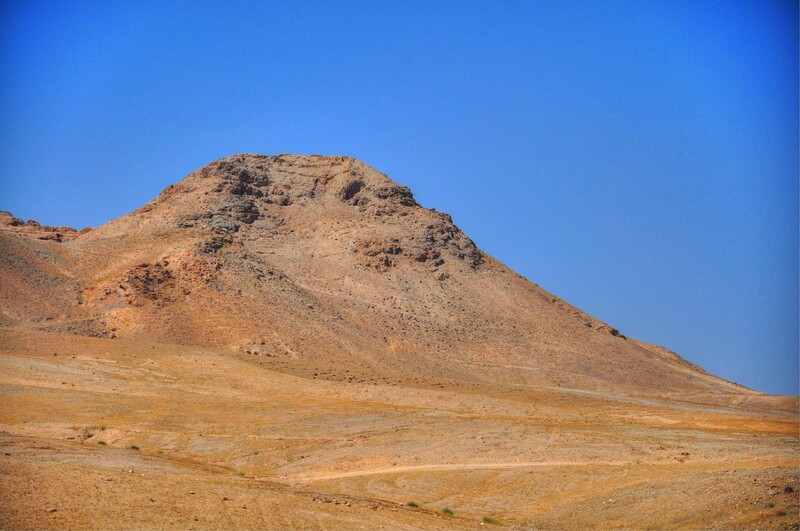 The surge of the Christian monks in the Judean desert during the Byzantine period created a thorough change in the number of settlements located in this harsh desert landscape. About 60 (!) monasteries were established during this period in the desert, and between 10,000 to 30,000 monks were living there. 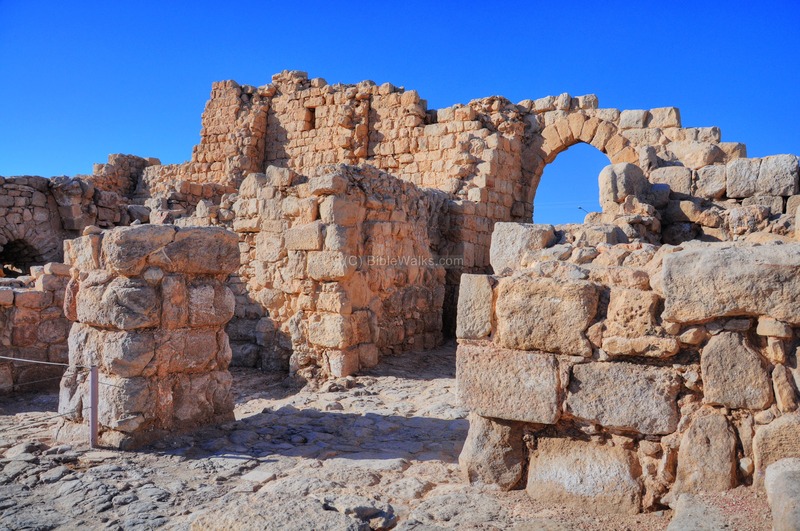 Therefore, it is important to understand the roots and characteristics of the Byzantine monasticism while exploring the area of the Judean desert. Christian Monasticism is a religious way of life, where the person denounces worldly pursuits and fully devotes one's self to spiritual work under religious vows. The word originates from Greek, based on the act of 'dwelling alone' (monos). The monks, a word derived from Monasticism, lived in seclusion from the World in places called monasteries (also derived from monos). They withdrew from society and devoted themselves to the purpose of spiritual renewal and return to God. 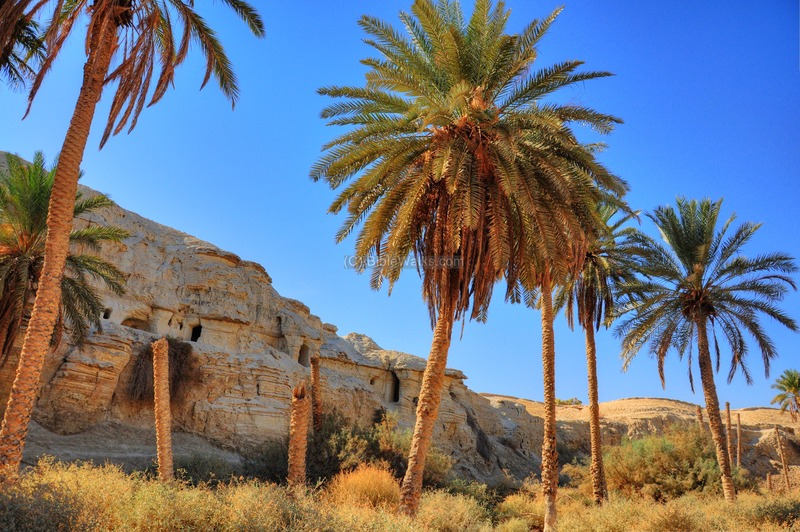 Many such monks found the desert as the suitable place of seclusion, following the 'Desert theology' of the Old Testament, where the Israelites wandered for forty years in the desert in order to change their nature and heart. They also were following the footsteps and life-style of Jesus , who secluded to the desert for forty days in order to prove his obedience to God (Matthew 4:1-11, Mark 1:12-13, Luke 4:1-13) , as well as Elijah the prophet and John the Baptist. The desert monks are often called 'Hermits', based on the Latin and Greek words 'eremita' and 'eremites' (means: "of the desert"). During the Byzantine period (4th-7th C AD) the hermits found the Judean desert a place of choice for seclusion in the Holy Land. 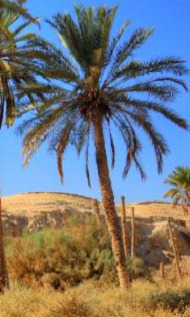 Although this desert is close to the Holy city of Jerusalem, it is also remote and hardly uninhabited. Many of these monks initially were pilgrims who toured the Holy sites, and were overwhelmed by the spiritual experience. Their religious passion drove them to a deeper devotion to God. 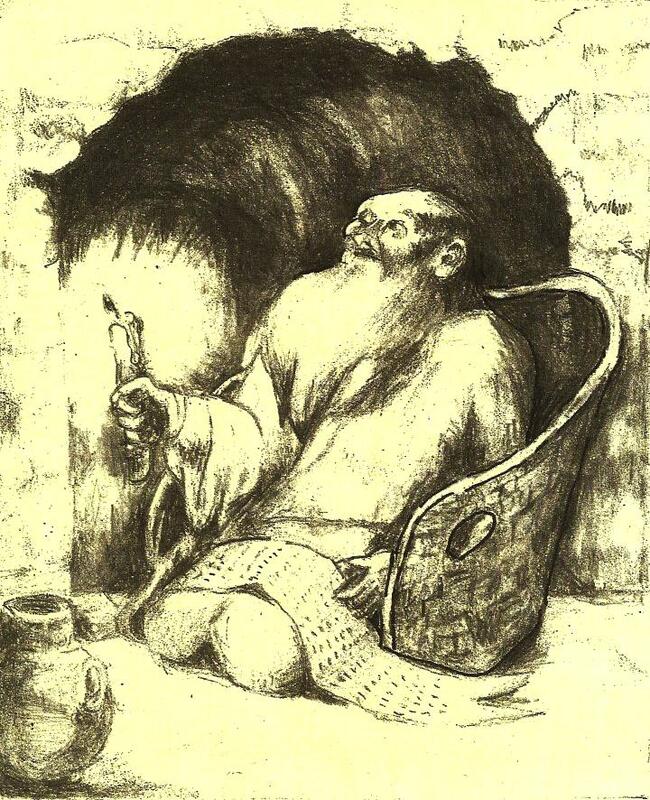 The number of hermits grew from just a few monks who secluded themselves in the caves of the Judean desert, and gradually grew to ten thousand or more hermits who lived in the monasteries constructed in the desert. Other monastic desert centers in the area of the Holy Land were located along the Jordan valley and in the Sinai Peninsula. The monastic way of life evolved during the early history of Christianity, and developed in diverse forms. The desert hermits started to dwell in natural caves or rock shelters, living in seclusion in a very modest and secluded life. During the Byzantine period this way of life formulized into two common methods of Judean desert monasticism - the Laura and the Coenobium. Initially these forms were loosely formulated, but in time the oral tradition became more disciplined and followed strict written rules. The Laura (or Lavra) originally meant a cluster of caves or cells used by the hermits for seclusion, with a church as their weekly meeting center (usually on Sundays). This functioned as a monastery for hermits, with an emphasis of solitary religious living during the 6 weekdays. The word is derived from Greek (meaning "a path"). The Coenobium (pronounced Coi-Noi-Bee-Yum) was a communal monastery, where a number of structures were surrounded by a wall and the monks lived there in a commune. The monks lodged inside the compound and followed a strict daily schedule. This word is based on the Greek words Koinos (common) and Bios (Life). The emphasis of this form is the community life, in contrast with the solitary living of the hermits which was too lonely and often led to mental breakdown. It was larger, more disciplined than the Laura, and followed a daily schedule. For many hermits, it was the first station before wandering to the desert or joining a Laura. 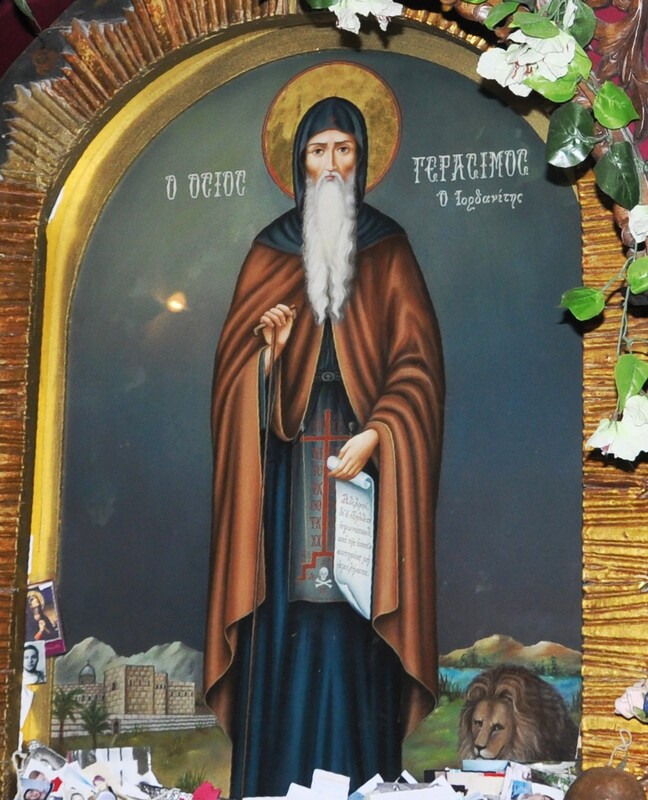 These are some of the most important figures of the desert monasticism. He was born in Egypt to a wealthy family, and at the age of 34 he decided to devote himself to Jesus and became a hermit in Wadi el-Natrun (west of Alexandria), where he stayed for 13 years. He then moved to Der el-Memun (close to the Nile), staying in solitude for 20 years within an old Roman fort. At this stage he was already famous and many came to seek his guidance, so in order to return to seclusion he relocated to another remote site in the wilderness of the Eastern desert of Egypt (close to the Red Sea). He died at the age of 105, but left a large number of followers, who built the Monastery of Anthony (361-363) near his last dwelling place. Hilarion is one of the important early monks in the Holy Land. He was born south of Gaza, son of a pagan family. At the age of 15 he became a Christian, and joined Antonius the Great in Egypt - where he stayed for 2 months (306). Hilarion then returns to Gaza, and establishes a Laura (328) in the desert between between Gaza and Maiouma. Hilarion operates in the whole region around Gaza, and his center evolved to become a large religious center in Gaza (4th to 7th C) with notable followers (Zenon, Petrus or Peter the Iberian, Abba Isaiah). Chariton is regarded as the founding father of Judean Monasticism, and established the first 3 Lauras. He came from Iconium (Central Anatolia in Turkey) to Jerusalem on a pilgrimage to the Holy sites, and was abducted by Robbers. 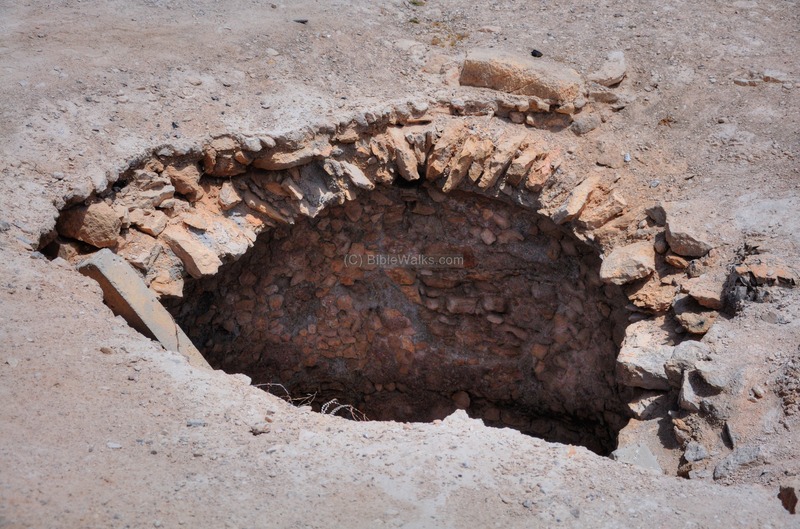 After a miraculous release, he stayed in the robbers' cave in Upper Wadi Kelt (above Jericho). Chariton followed the same pattern as Antonius the Great, the father of hermits of Egypt: he first secluded in a small cave, then many other monks joined him for respect and guidance, and so he leaves again to another secluded site - and so on and so forth. In 330 AD Chariton establishes the first Laura (Faran or Pharan) . This first Laura was a prototype for other similar monasteries, and his students (such as Euthymius and Theoktistus) continued the same pattern in other sites. 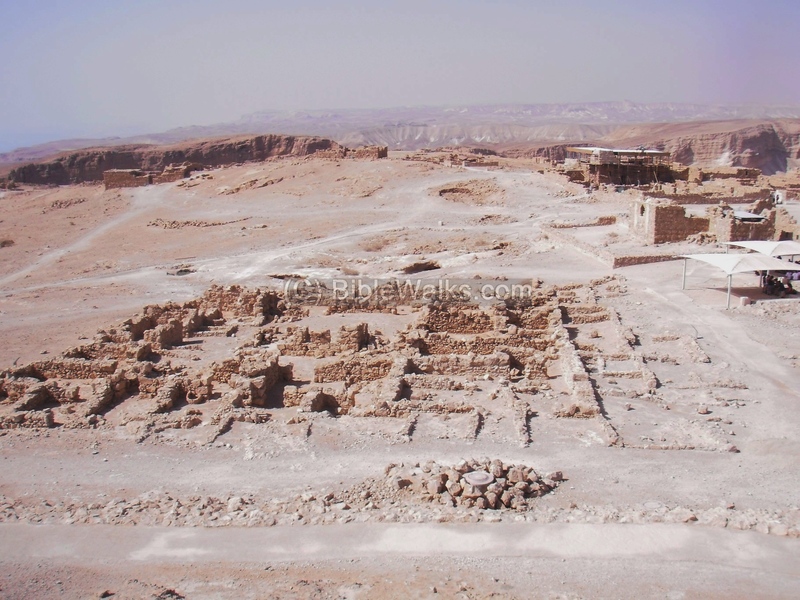 After many monks joined the Laura, Chariton relocated to two other Lauras: Doka west of Jericho (Dok - a former Hasmonean fortress), and Soka in upper Nahal-Tekoa. The monasteries of Chariton are all located in remote locations at the edge of the desert or on the cliffs above the Jordan valley. Euthymius (also: Euthemius) was one of the most prominent fathers of the Judean Desert Monasticism, and often called "St Euthymius the Great". He was born in Melitea in Armenia (a land east of modern Turkey) to a noble family, and until the age of 29 was in charge of the monasteries in his home region. He came to the Holy Land as a Christian pilgrim (406), and then moved to the Laura of Faran (Pharan, in Wady Qilt), which was directed by the monk Chariton. After five years, at the age of 34 (411AD), he moved with his fellow hermit Theoktistus to a cave located on the cliffs of Nahal Og (Wadi Mukelik in the upper section of Og). Later, more hermits joined them to form a monastery in the form of a Coenobium - the first in Judean desert. Euthymius died at the age of 97 (473). A few years later (482) the Laura was changed to a communal monastery (Coenobium). In his time, the Land of Israel replaced Egypt as the center of Christian Monasticism. He was a monk in the Laura of Faran, which was directed by the monk Chariton. 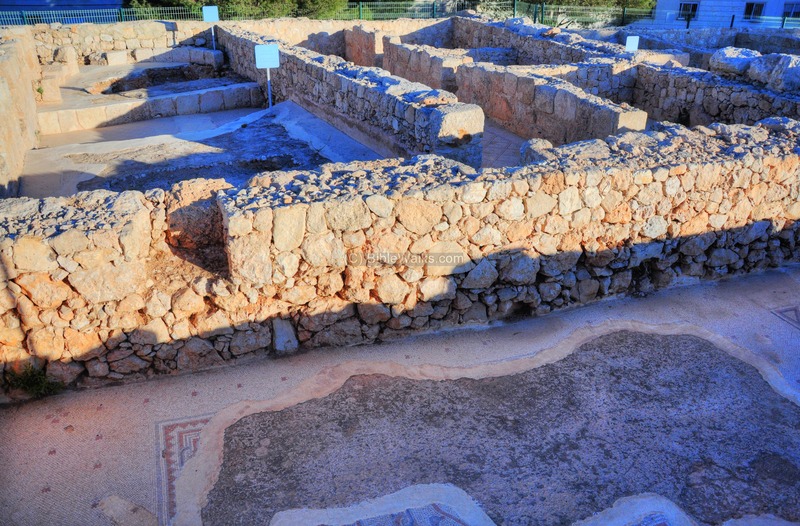 In 411 moved with his fellow hermit Euthymius to a cave located on the cliffs of Nahal Og. Later, more hermits joined them to form a monastery. Theoktistus became the head of this Coenobium, which was named the Monastery of St. Theoktistus (Deir Muklikh). It is located in upper Nahal Og (Wadi Mukelikh). Sabas was born in Mutalaska, Cappadocia, in 439AD. He was grown in the Coenobium of Cappadocia for 10 years, then at the age of 18 he came to Jerusalem. He moved to the Judean desert and stayed in the Coenobium of Euthymius for 12 years. At the age of 30 he was granted the permission to live in seclusion, and wandered for 5 years in the desert. 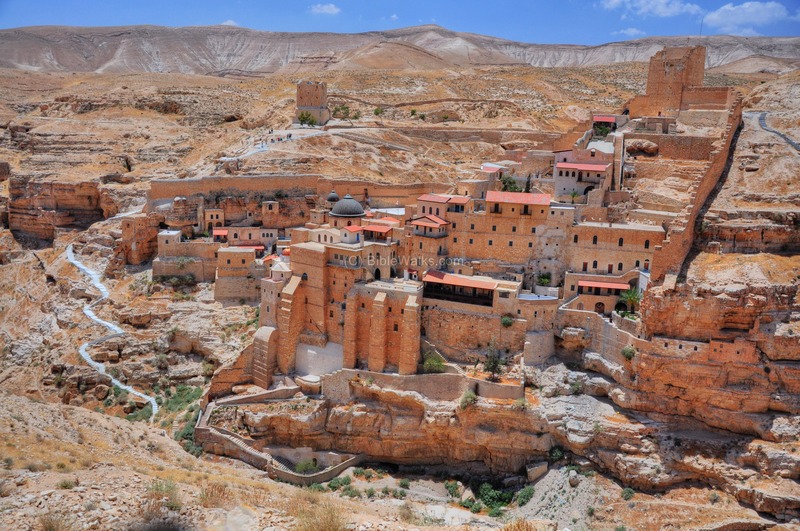 Sabas lived about 10 years in a cave near the future location of the Mar Saba monastery. He found this remote site with its local spring a perfect place for the seclusion. 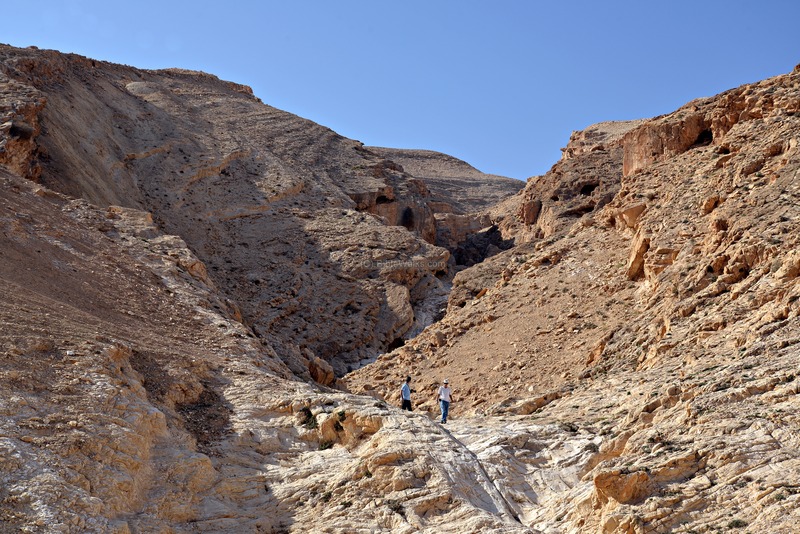 Sabas established, at the age of 45, a Laura in Mar Saba (483AD) - a cluster of caves or cells of hermits residing around the central monastery. Sabas directed the Great Laura of Mar Saba for nearly 50 years. During the years the place was expanded in order to accommodate the hundreds of monks who resided here, and walls were constructed in order to provide protection. Sabas helped to establish more monasteries in the desert: He and his monks established during this time a total of 13 (!) monasteries in the Judean desert - 7 Lauras and 6 Coenobiums. Several older monasteries came under his management - including the famous Monasteries of Euthemius and Theoktistus. In his times the number of hermits grew from hundreds to thousands. The author of the "Life of Sabbas", Cyril (Kyrillos) of Skythopolis, summarized his lifetime mission as "converted the desert to a city". His influence reshaped the customs and living habits of the monks. He was the first among the desert hermit fathers who formulated a set of written rules for the conduct and way of life for the desert monks in the Judean desert. Sabas is regarded as an efficient administrator and Holy man, rather than a pure theologist. After his death in 532 at the age of 93, Sabas was buried in the yard of the monastery. Gerassimos was a monk from Lycia (Anatolia, Turkey). He was an Abbot (head of monastery) of a community of 70 monks in the area east of Jericho who maintained a strict rule of asceticism. He is regarded as one of the second generation leaders of the Judean desert hermits, who followed the founders (Euthymius and Chariton). The monastery (Deir Hijla) was built in the form of a Laura - a cluster of caves or cells for hermits with a common center. The monks met in the center on Saturdays and Sundays, while in the rest of the days they lived in seclusion. The Church in the center is located at the site known as St. Gerassimos. The monks' caves are located 1KM to the east (Ein Nukeil) and in the mountains around the site. Gerassimos attended the Fourth Ecumenical Synod at Chalcedon in 451. This gathering of the council in Asia Minor was a key turning point in the Christian religious debates and caused a major split in the Eastern Orthodox world. Gerassimos was initially against the decisions of the council, but later supported them. 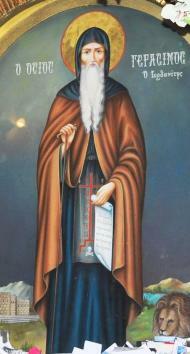 The monk, also known as St. Gerasimus of the Jordan, died in 475. The following table lists the sites related to the subject of Judean hermits, monks and monasteries. Click on the site's title to see more information on each site. The largest in the Judean desert. The monastery started as a place of seclusion of few hermits in the caves, led by Sabas. Large Laura Click on the photos to enlarge them. Monasticism is a religious way of secluded life. The word originates from Greek, based on the act of 'dwelling alone' (monos). Monk - a religious person living in seclusion. The word is derived from Monasticism. Monastery - a home for a number of monks. Hermit - desert-dweller monk. Based on the Latin and Greek words 'eremita' and 'eremites' - of the desert. Laura (or Lavra) - cluster of caves or cells used by the hermits for seclusion, with a church as their weekly meeting center (usually on Sundays). The word is derived from Greek (meaning "a path"). Coenobium - a communal monastery, where a number of structures were surrounded by a wall and the monks lived there in a commune. This word is based on the Greek words Koinos ("common") and Bios ("Life"). Why many hermits lived more than 100 years? (Hebrew) Interesting article about their food.